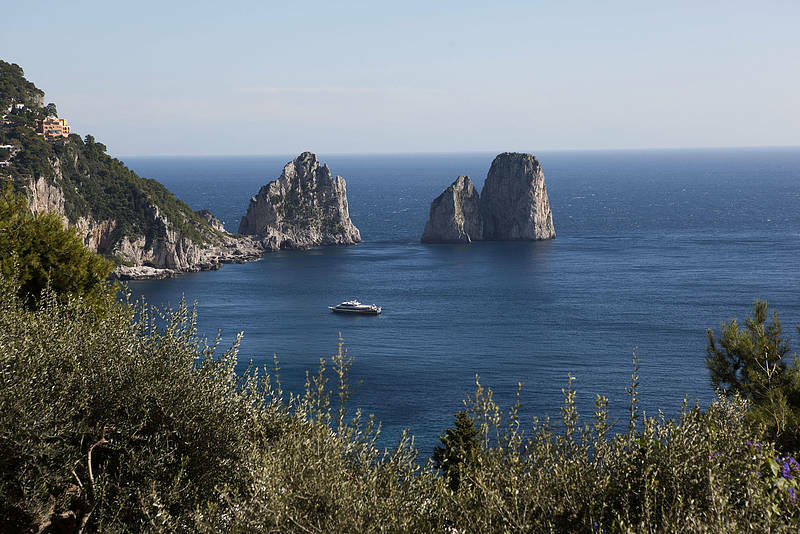 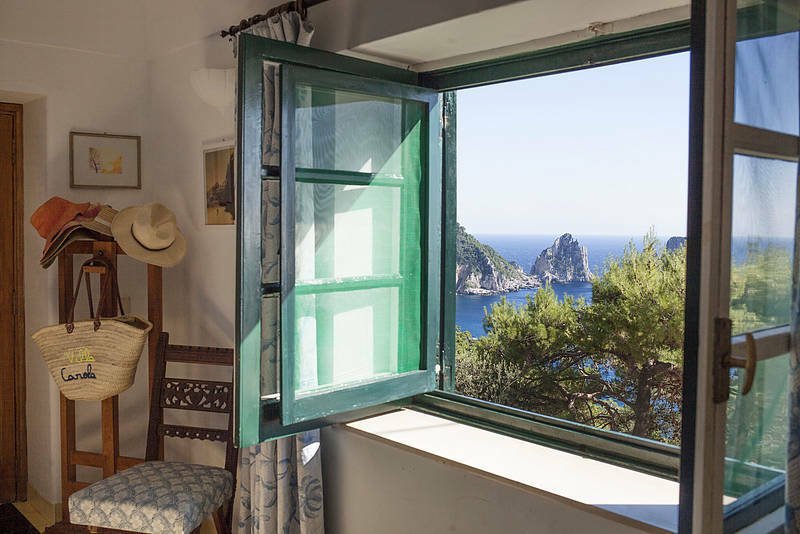 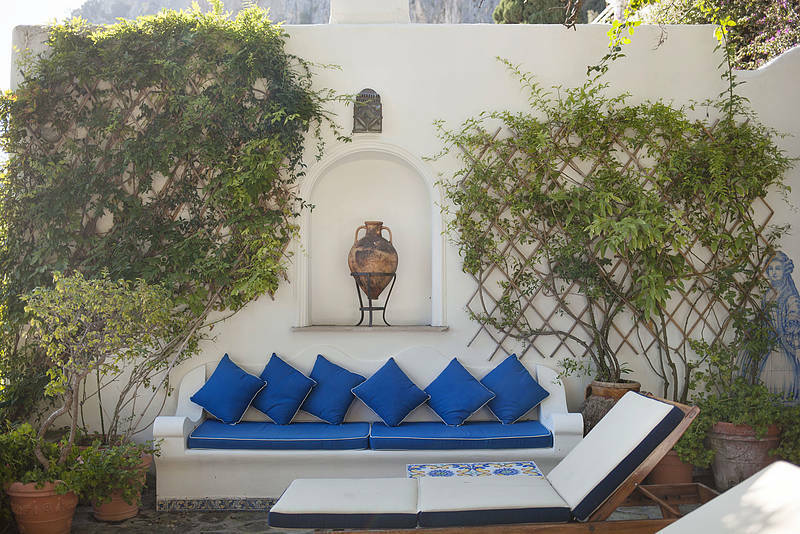 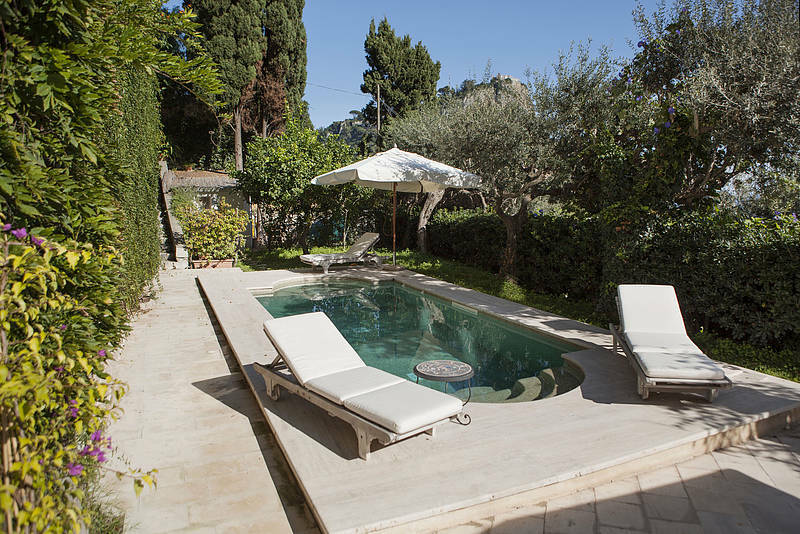 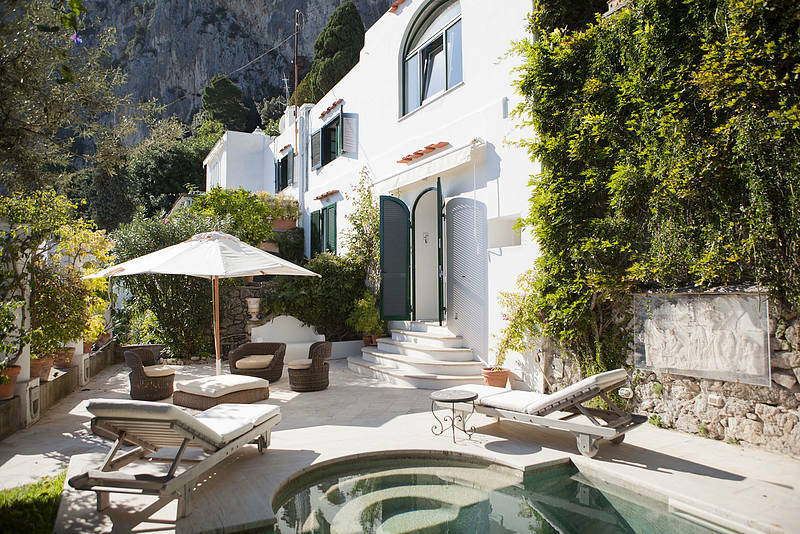 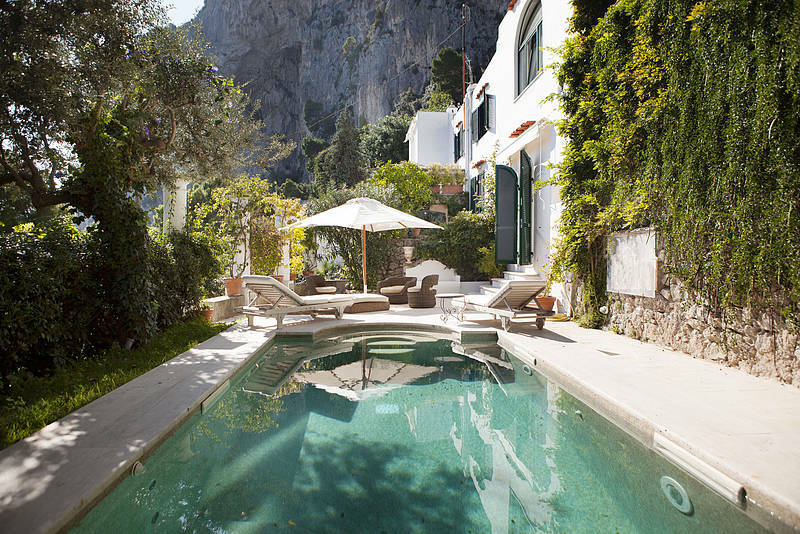 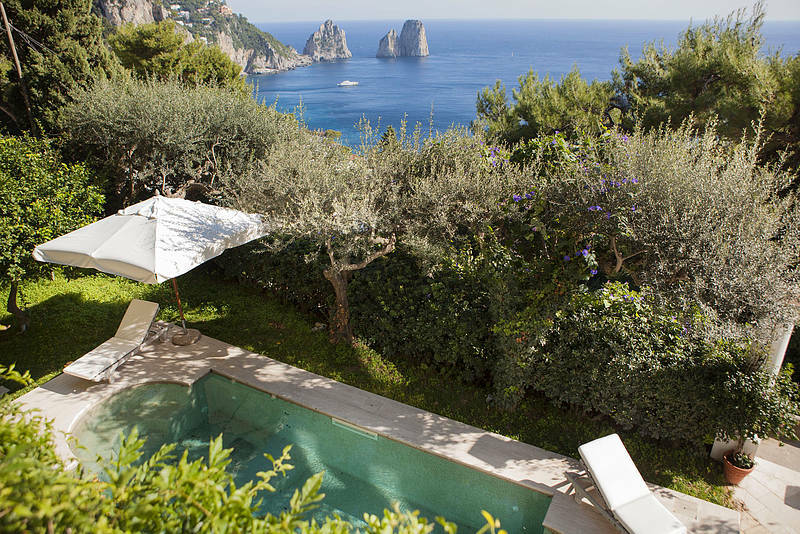 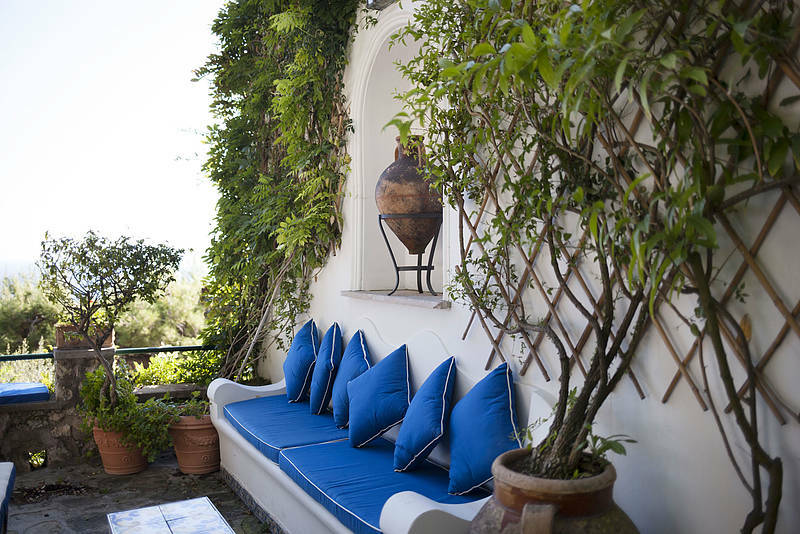 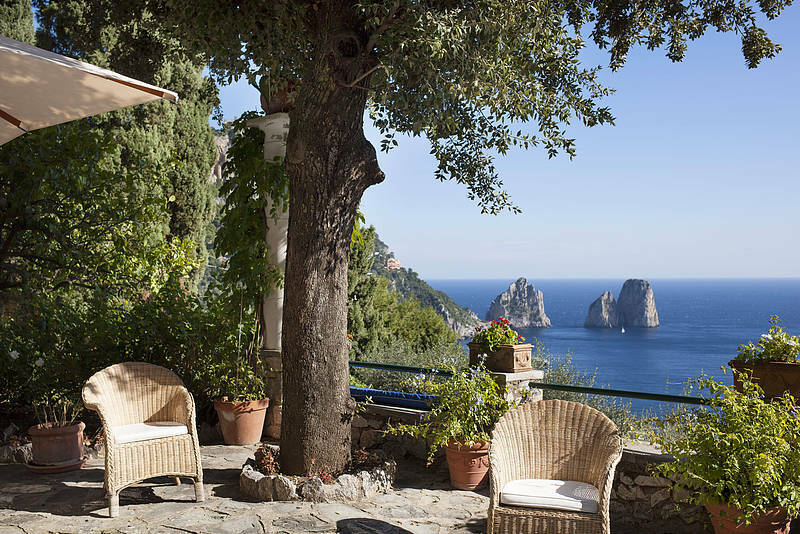 You'll feel like you're vacationing in heaven at breathtaking Villa Grotta delle Felci, tucked into one of the most beautiful and picturesque corners of the island of Capri - Marina Piccola - famous for its stunning views over the Faraglioni sea stacks, just off the coast. 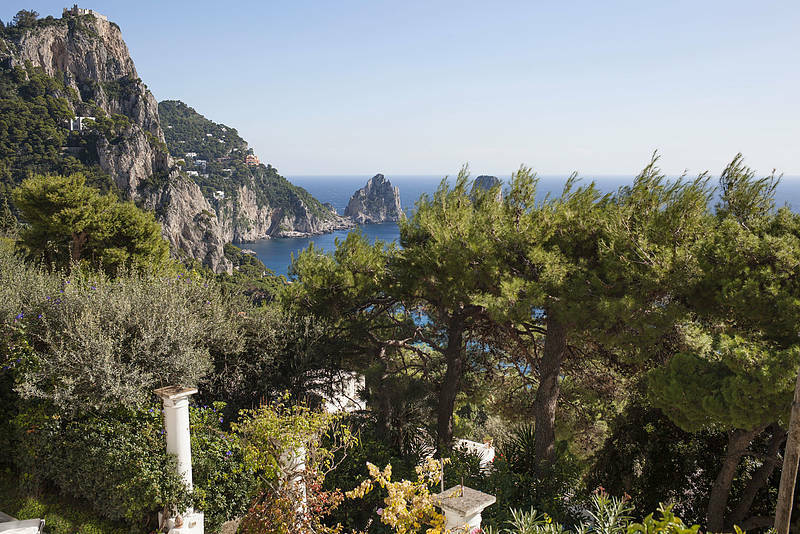 Go down the 37 steps to the spacious panoramic terrace across the lush Mediterranean garden, and relax with the scent of island blooms and the sea breeze in one of the most beautiful spots in the world! 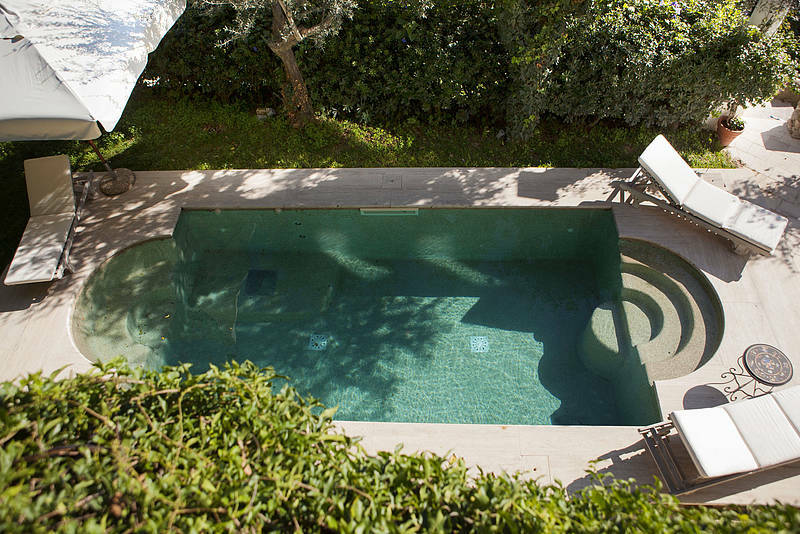 If you don't want to strike out for the beach, you call cool off in the private 7 x 3 meter pool and work on your Mediterranean tan on the poolside loungers. 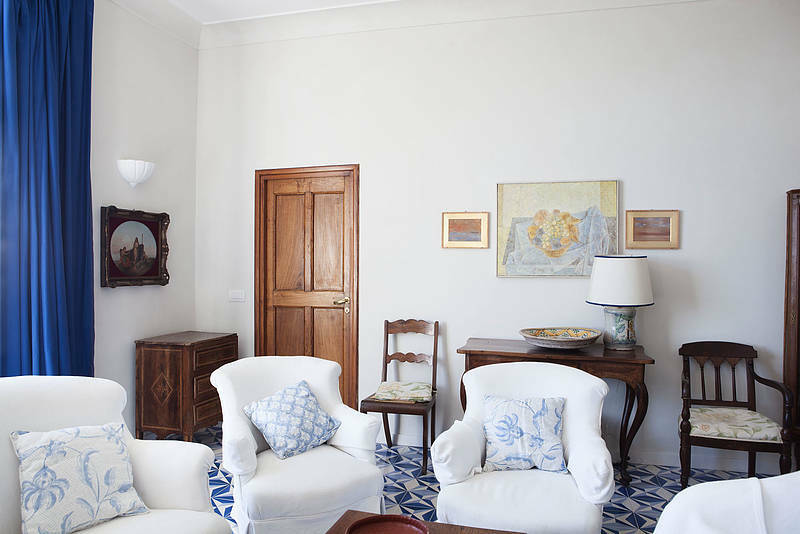 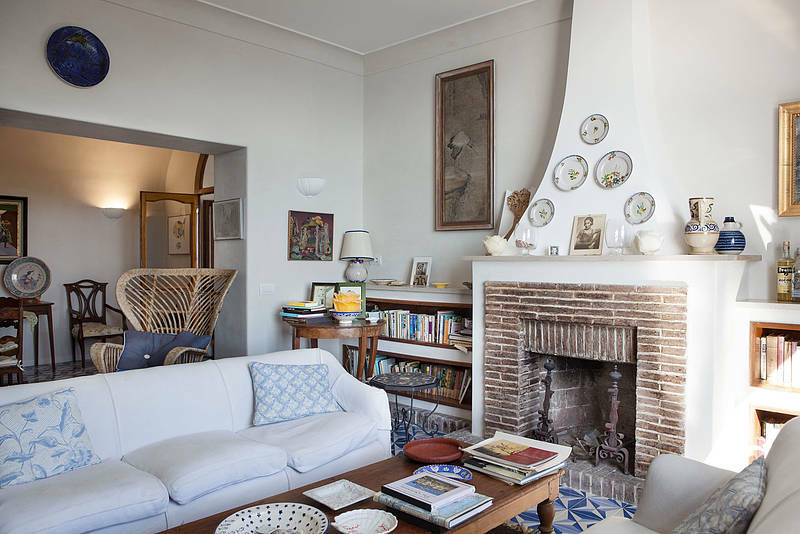 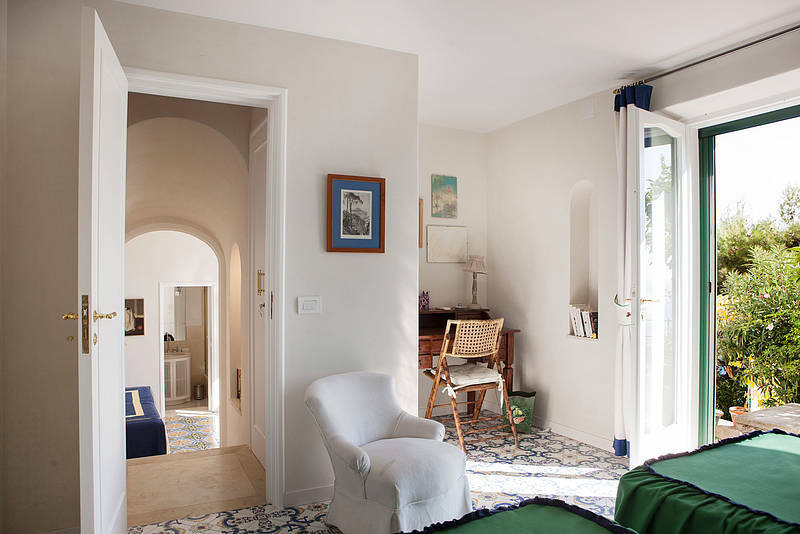 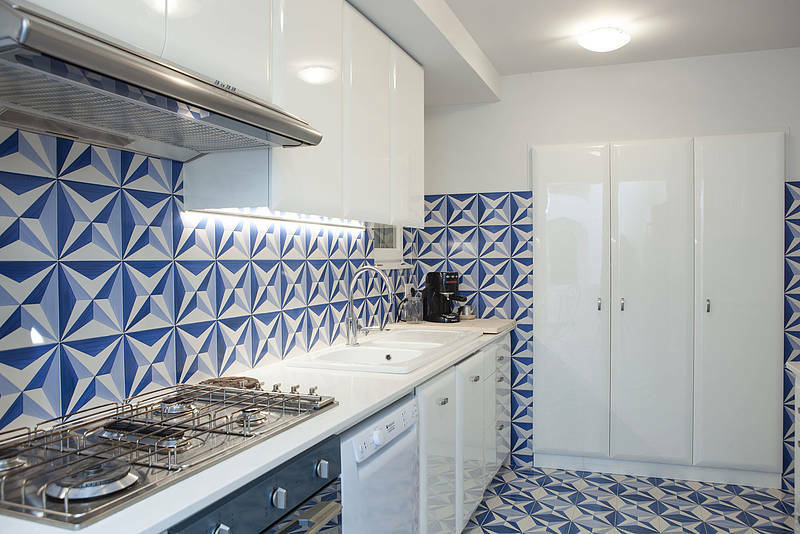 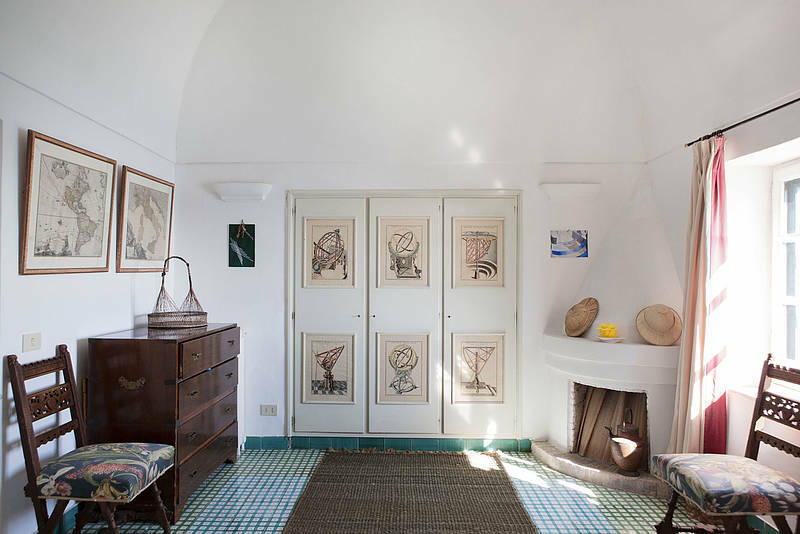 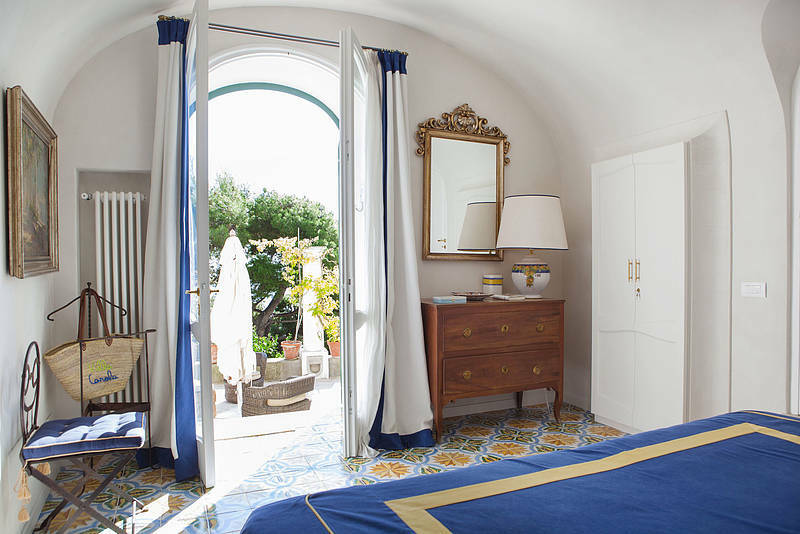 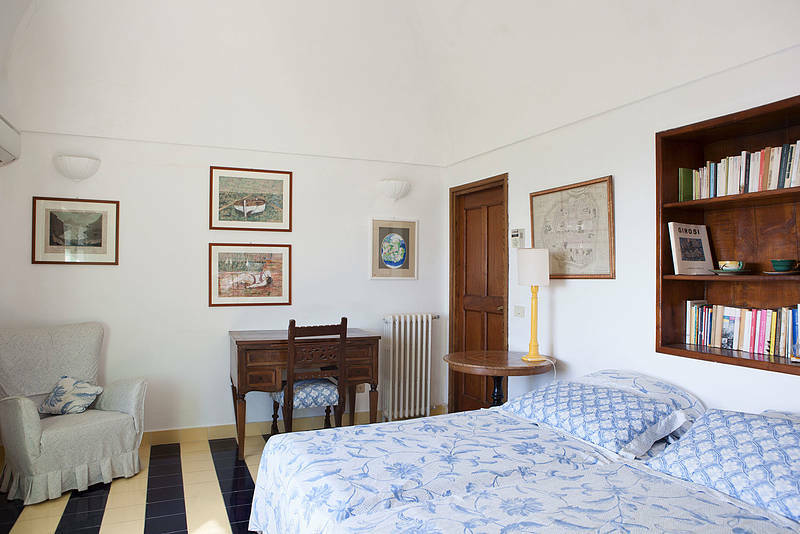 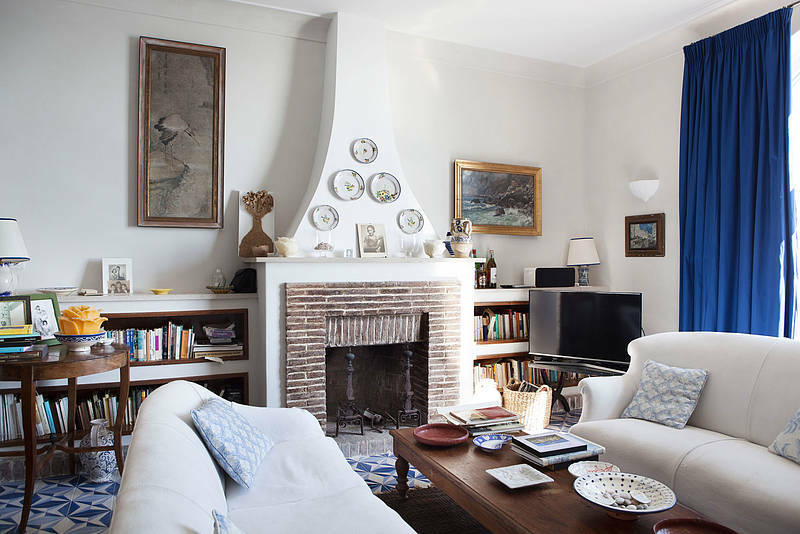 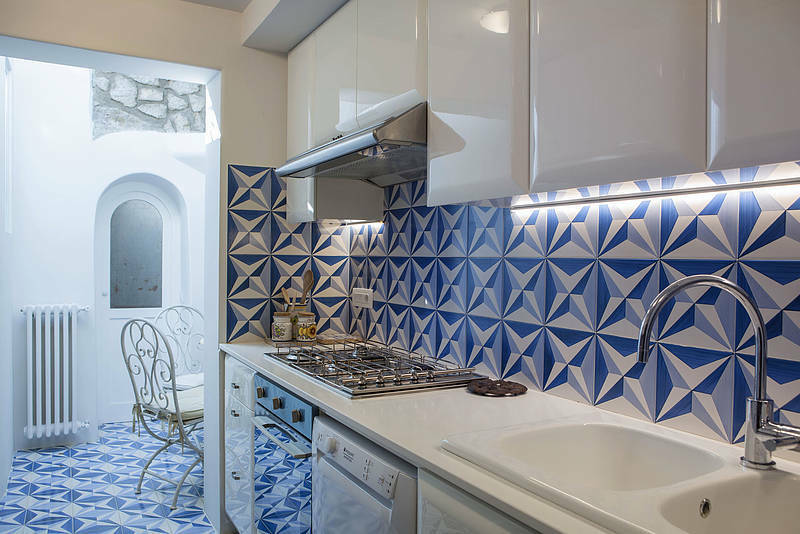 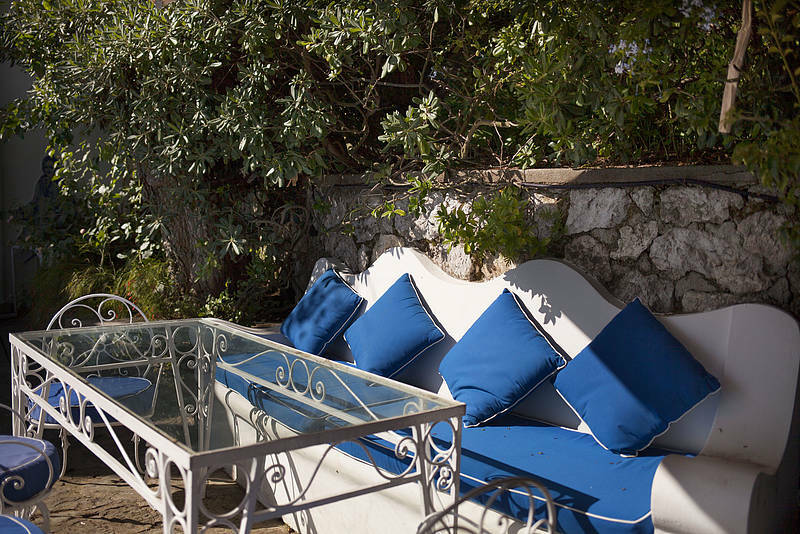 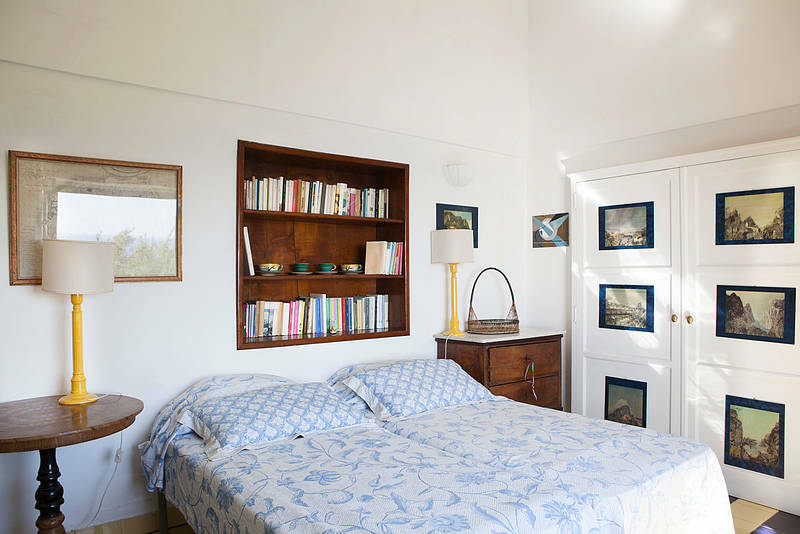 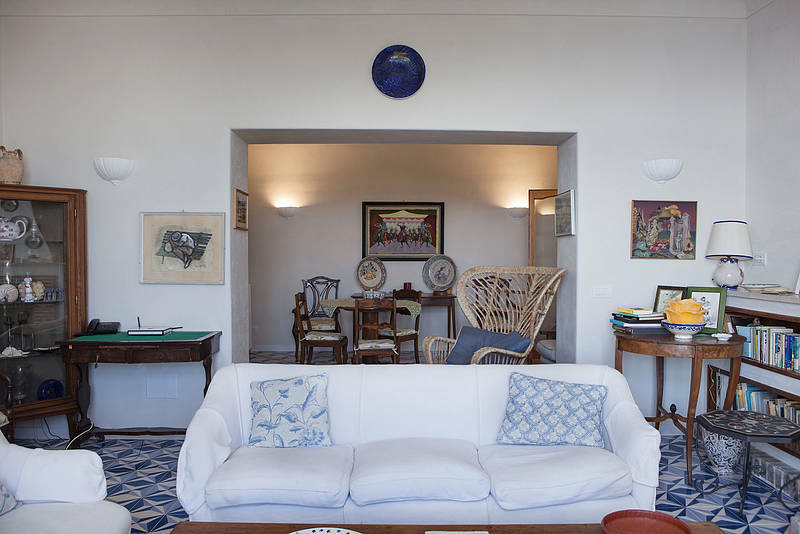 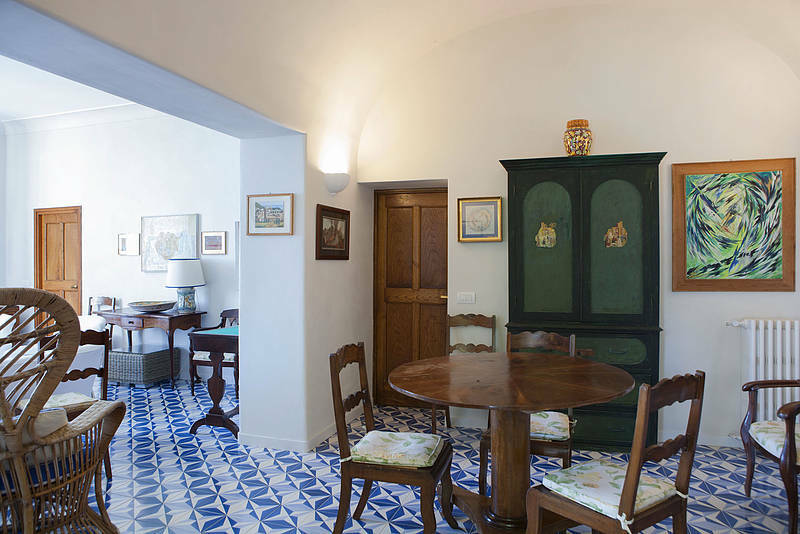 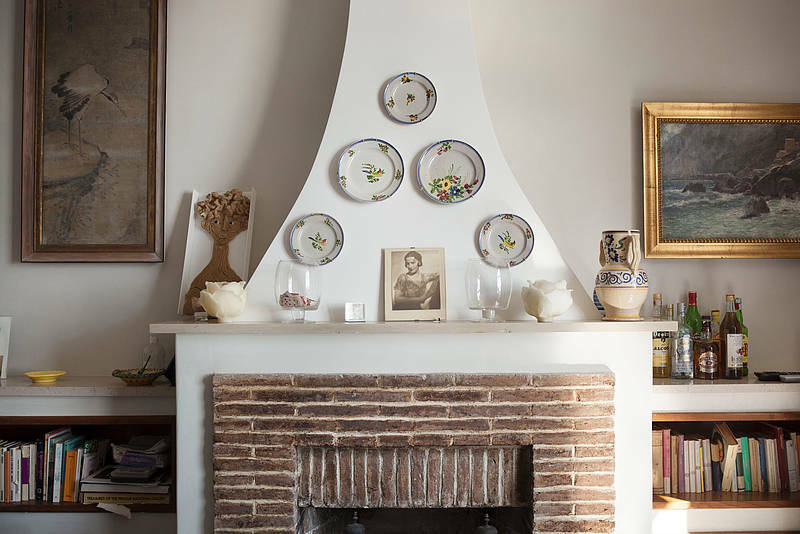 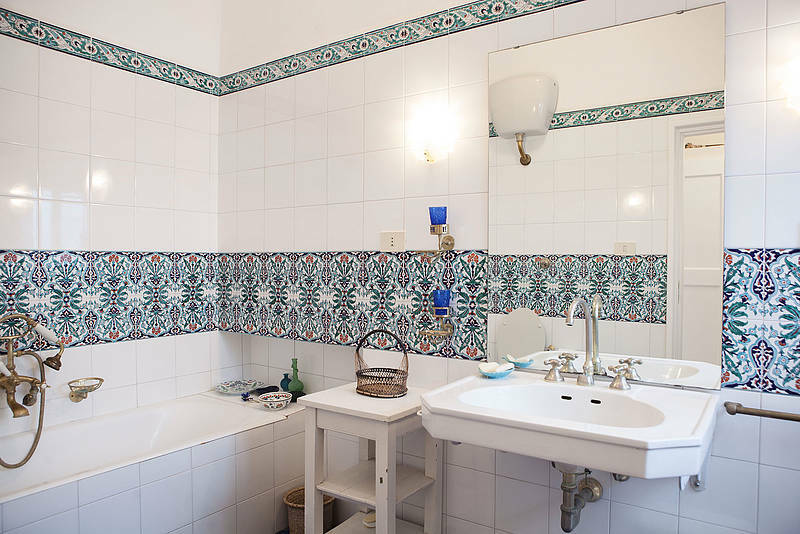 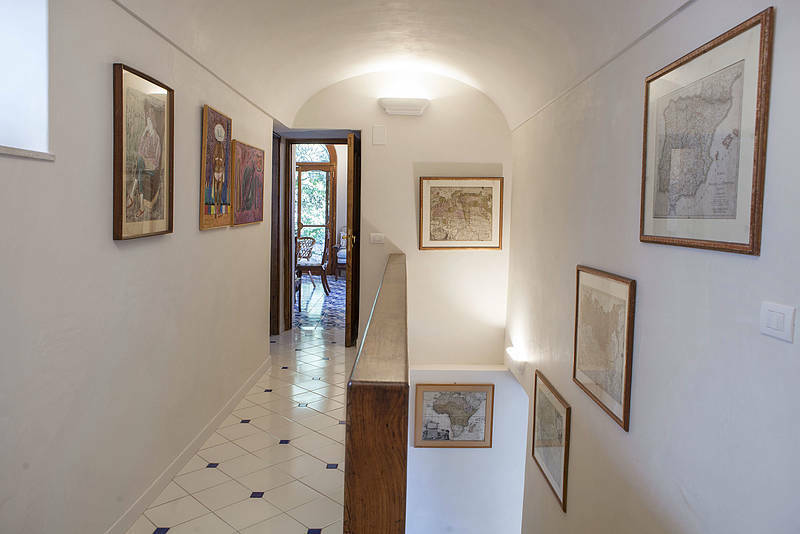 Villa Grotta delle Felci has stunning interiors, as well, with a large kitchen tiled in shades of blue and a panoramic living room overlooking the sea, carefully furnished in timeless island style with colorful accents in a classic Mediterranean palette. 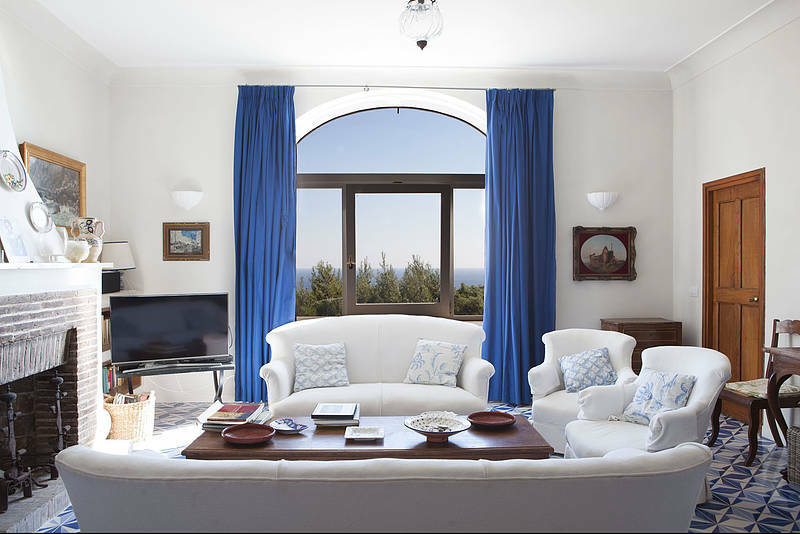 The four bedrooms are located on two levels and have private bathrooms, and each room has a sea view or private access to the terrace. 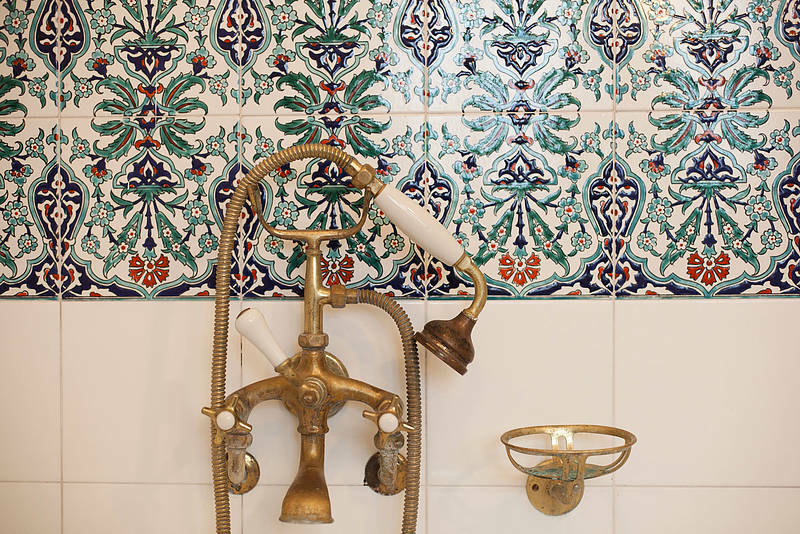 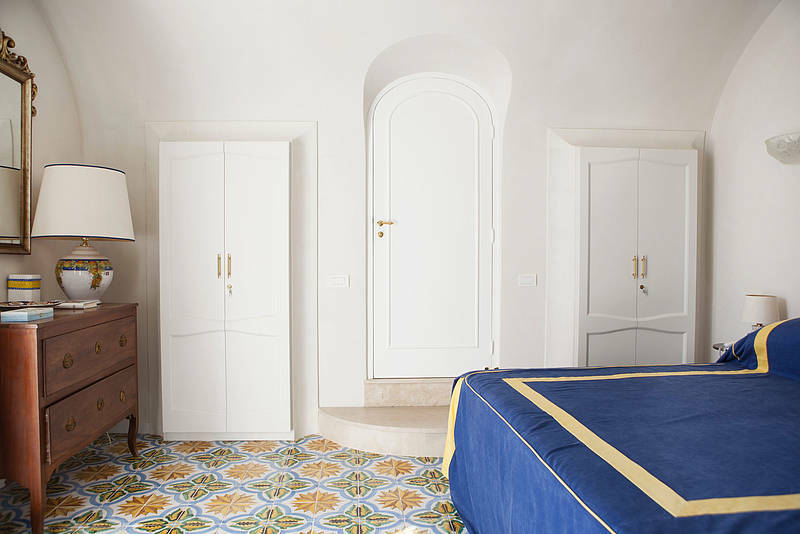 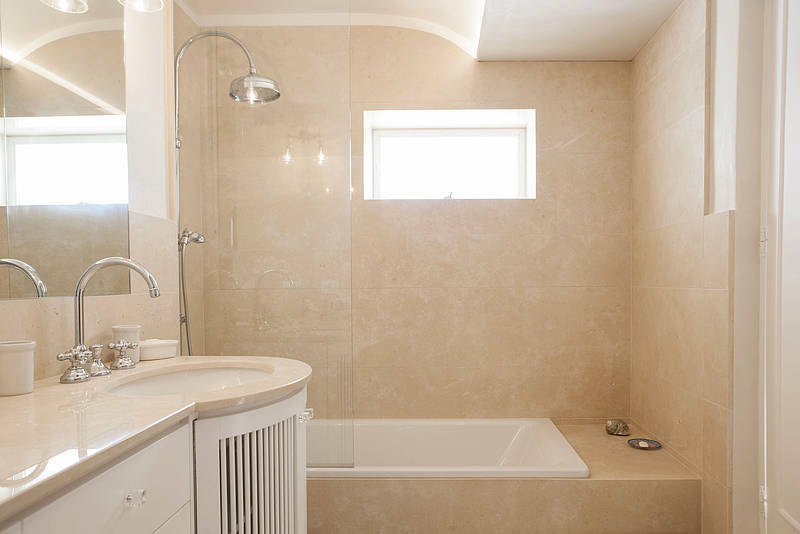 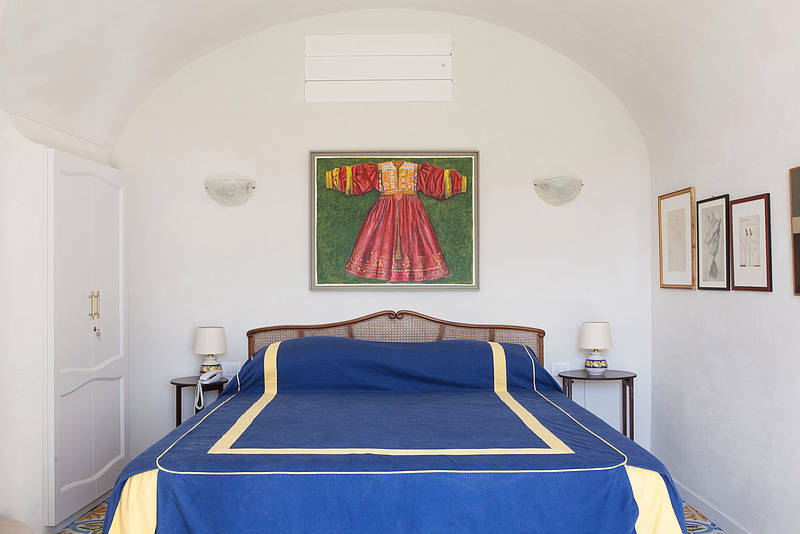 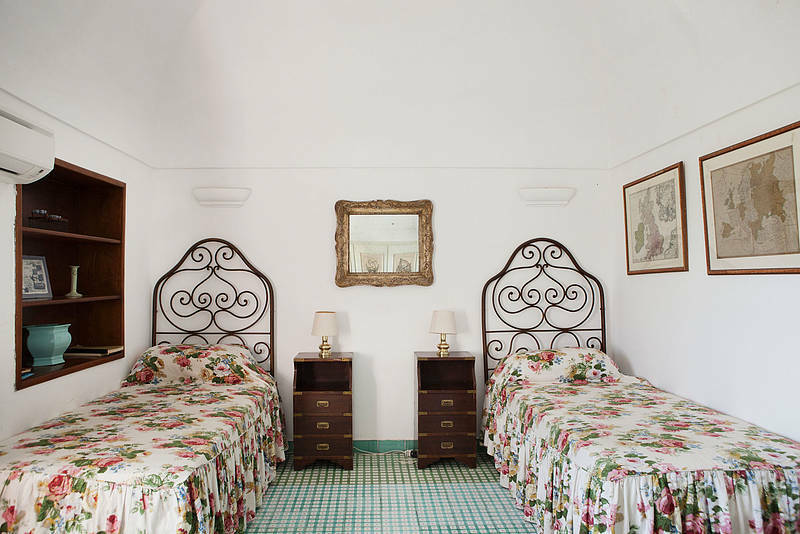 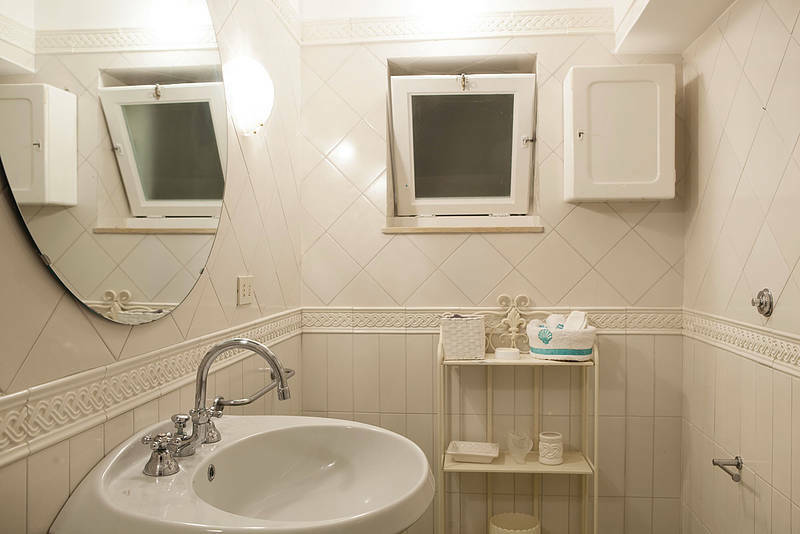 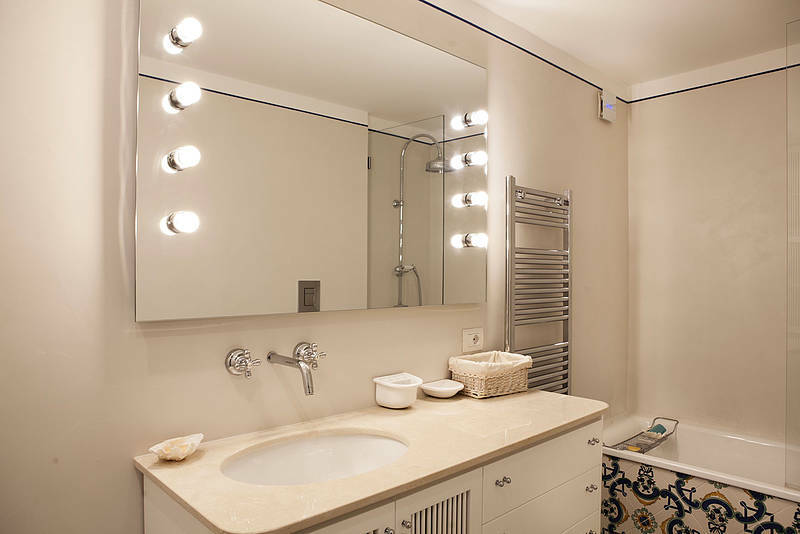 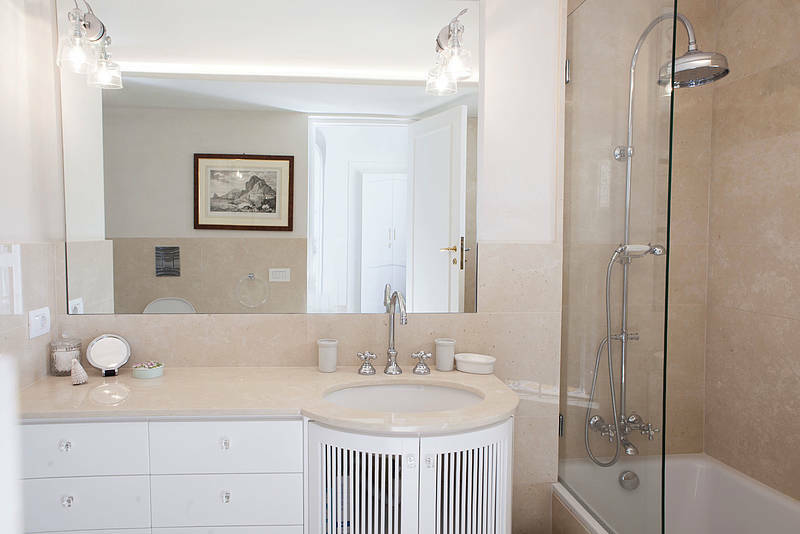 The master bedroom on the ground floor has a king-size bed and an elegant bathroom finished with Carrara marble. 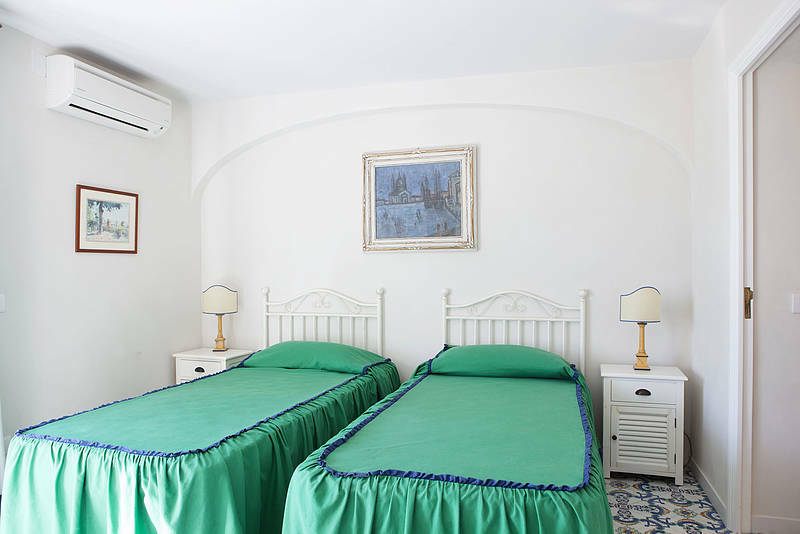 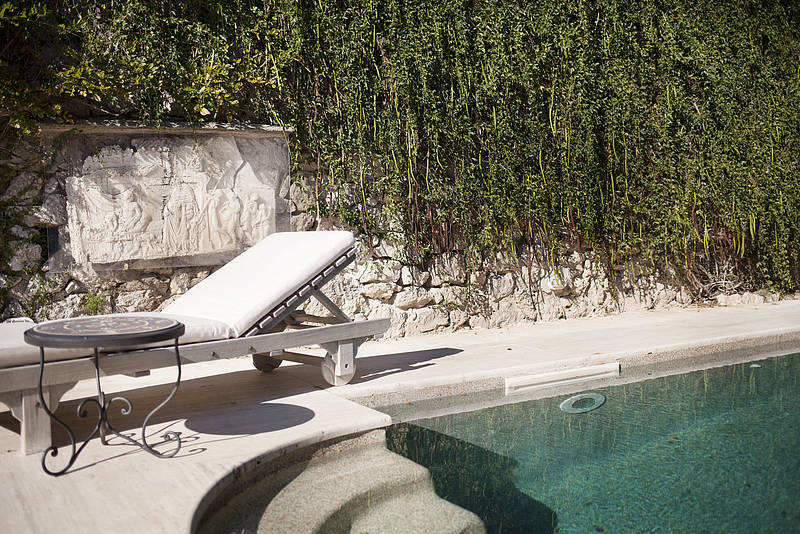 The villa also has a small annex behind the pool for staff, with a bedroom, shower, and laundry facilities.